Yes, every child should have access to music education, to learn an instrument and benefit from the multitude of aesthetic, social, intellectual and personal outcomes that making music brings. But how are you going to solve the problem? Regular articles give oxygen to the issue but what actually changes? Here in Victoria, we have a story to tell that might surprise you. Our State government this year effectively included music as part of every child’s schooling under its mantra of ‘every child, every opportunity’. Behind the catchy line all students attending our 1,600 state-system schools, should by 2018 have access to a quality music education – just like the students do in our private schools where music is a key demonstrable of a school’s depth of educational opportunity. The Premier, Daniel Andrews, made his commitment back in November 2014. 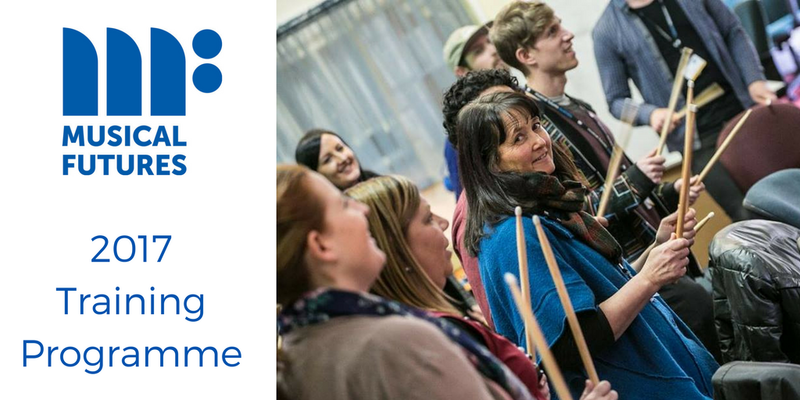 Since then work has started with an initial group of 150 teachers from 100 schools on improving music education provision, the quality of the teaching and the resources they have to work with. How are they doing this? Through the implementation of Musical Futures, a British music education approach. So, by 2018 at least 800 of the 1,600 Victorian state schools counting a student population of more than 500,000 pupils will have benefited from this innovative British approach. 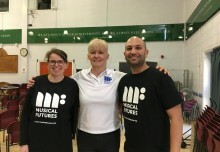 The principles of Musical Futures were researched by a British academic from a leading London university, it was conceptualised and systemised for use in schools by a British educator (who has since been awarded an OBE for his work in the field) and it is run day-to-day (including assisting the music education provision in far flung Victoria) by a team of expert British music educators. Apart from some modest local tweeks and a good dose of Australian energy, Musical Futures is thoroughly British. And Musical Futures works for all the reasons that many existing programs struggle or fail. Students are placed at the centre of the learning, it is relevant and engaging for students and teachers, it is delivered as a classroom activity, it is affordable and sustainable for schools, it builds musical skills and literacy, and provides pathways for any form of musical exploration individual students may choose to take. And yes Musical Futures de-mystifies the learning of music. 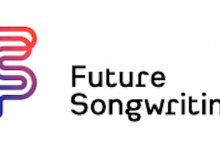 Musical Futures is an approach that takes the best of what has gone on in the past and builds on and repackages those approaches into a 21st century context. And it delivers – greater access to music, greater longevity amongst young players, increased numbers of students opting for additional instrumental lessons, improved job satisfaction amongst teachers and, greater numbers of students continuing on to complete music at Year 12 – your A levels. Sure, current government policies in the UK seem not to support music in schools in the way they should. I have seen this first hand. But I also see a music education sector needs to look at itself and recognise that its practices and approaches need to be reformed so that the music education offered is relevant and therefore can’t be ignored by governments. For many years, the problem with music education is that ‘we want to do what we have always done, but just do more of it’. But most of the approaches used are approaching their centenary, and that suggests nothing has happened in music or in the development of children and adolescents in the last 70 or 80 years. That clearly is not the case and that thinking it is as stultifying an approach to music as the writer accuses your ‘tightwad, snobby’ government of being. Why? Because the ‘way we had always done things’ is one of the reasons music in schools had become marginalised in the first place – poor levels of student engagement, low retention rates amongst instrumental learners, teacher burn out and apathy and music being a too problematic area of the curriculum relative to its importance for school leaderships to deal with day to day. Music had no real place in the timetable and it was expensive to service relative to student access and involvement. All this despite the overwhelming parental expectations that music is included as a core part of their child’s learning. There is a very British solution to your issue, though the solution might require some very un-British behaviour. Stop whinging, start reforming and re-thinking the music education space, toss out some of the traditions along with the ’this is the way we do things around here’ thinking that is the real cause of what is holding you back from the thing you most want to achieve – that every student has access to a quality music education. You don’t need to look to the US nor do you need to look to Australia because what we learned, we learned from you. It’s called Musical Futures, it doesn’t solve every music education issue in every location but it works and if we can adopt it from 12,000 miles away you can too. Musical Futures: Just Play has been developed in partnership with Musical Futures Australia and is currently rolling out to 400 schools across the state of Victoria.